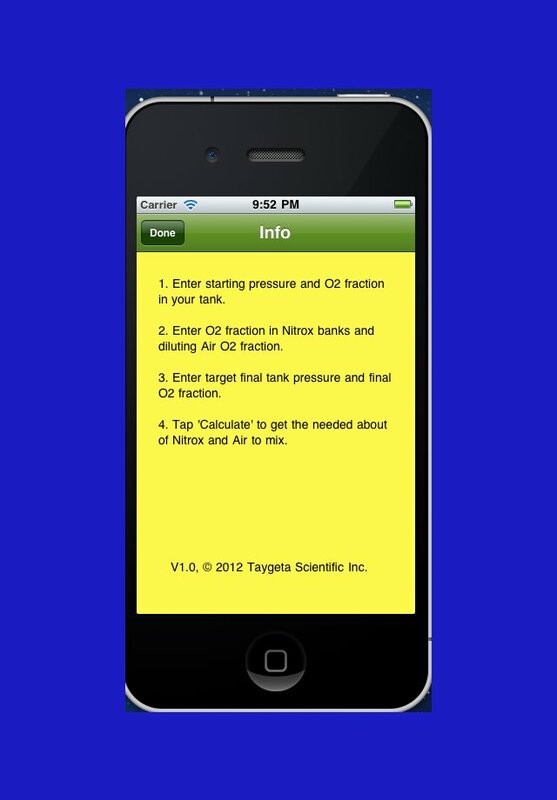 Nitrox blend calculator and Dive Planner. Calculate the amount of Nitrox to blend with air from an arbitrary starting pressure and starting O2 fraction. You can blend two different Nitrox mixtures if desired. 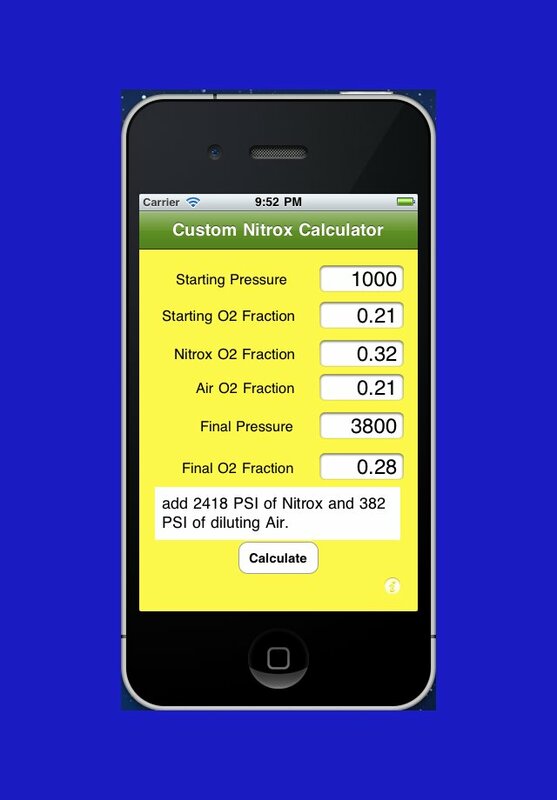 Unlike other Nitrox mixture calculators, this one allows you to keep whatever you happen to still have in your tank and you do not need to blend in pure O2 to reach your target mixture. As always, test your mixture after your tank is filled! 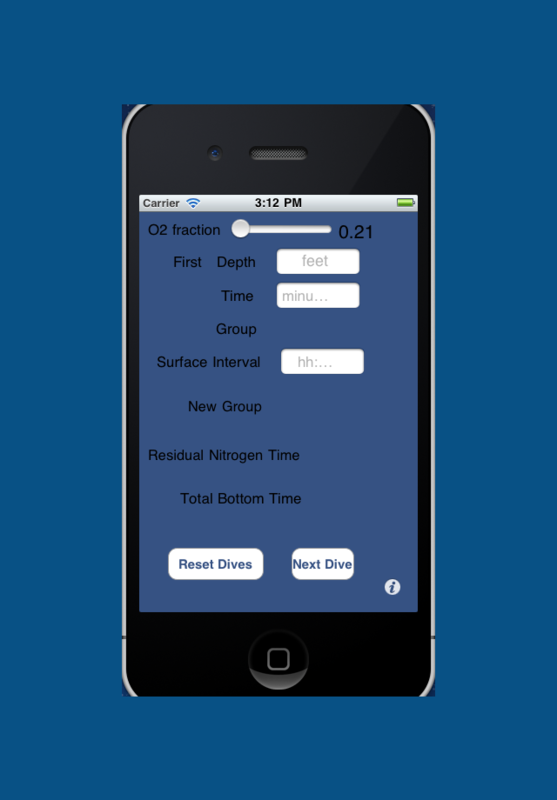 This App also includes a dive planner based upon the NOAA/US Navy dive tables. You can use it with both Air and Nitrox dives, for multiple dives, within no-decompression limits. Be aware that the NOAA tables are not identical to the PADI or NAUI tables. The NOAA tables are less conservative for the first dive and more conservative for subsequent dives. Plan you dive. Dive your plan! Now includes a dive planner based upon the NOAA/US Navy planner tables. Other Apps by Taygeta Scientific Inc.